Last week I had the pleasure of reviewing two Russell’s Reserve Single Barrel private selects, one of which was “Backstage Pass” from the fine folks at Barrels & Brews. 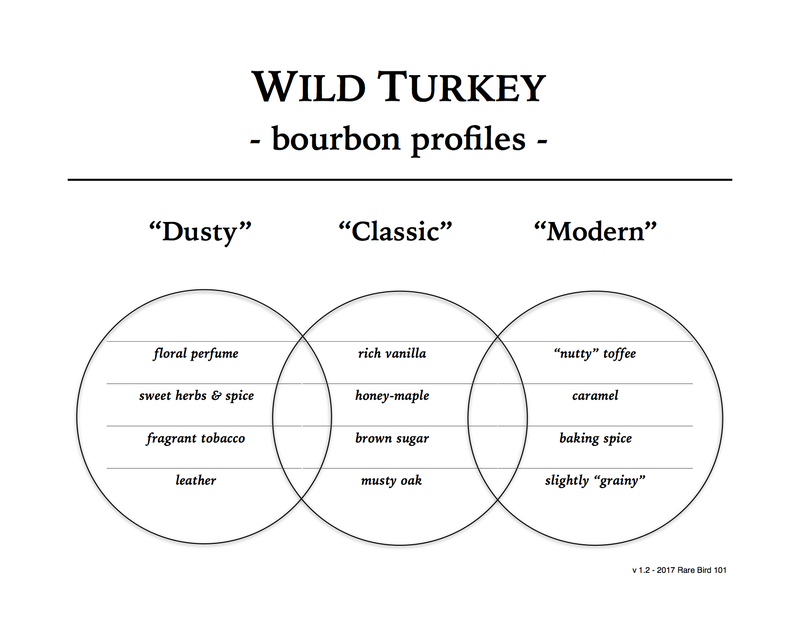 While Backstage Pass was pulled from rickhouse B, one of my personal favorite Wild Turkey rickhouses, it just didn’t seem to have that unique quality I look for in a Russell’s Reserve private selection. I’m not saying it wasn’t a worthy purchase. On the contrary, I’d happily sip it any day of the week. But when comparing Russell’s Reserve Single Barrel releases (especially this year) the competition is stiff. So much so I felt compelled to implement a quarter-point grading scale. As a result Backstage Pass received a 3.75/5 on my Turkey Scale and I stand by that decision. If you thought you saw the last of Barrels & Brews on this blog you were wrong. While Backstage Pass was the B&B pick I was expecting most of, it wasn’t the only Russell’s Reserve Single Barrel I picked up from Carother’s Wine & Spirits. At the last minute I decided I’d give B&B’s second pick a try, humorously titled “Haters Gonna Hate” with a “My Little Pony-esque” unicorn and rainbow label. It was in impulse buy of sorts. In fact, now that I think about it there was probably some sort of rainbow-sparkle tater magic going on. What can I say? When it comes to Turkey I sometimes get weak-minded. Now that the spell has worn off, I’m hoping this one’s worth it. It’s a rickhouse H pick. Not a rickhouse I chase specifically, though it just so happens that I recently acquired a 2018 H-pick from Shawan Liquors in Maryland. If Shawan Liquors sounds familiar, that’s because I reviewed one of their Russell’s Reserve Single Barrel selections last year. It was a damn fine pour – a rickhouse O pick effortlessly grounded in the classic Wild Turkey profile and excellent to the last drop. But that was then, this is now. Thanks to a fellow whiskey associate (cheers Matt) I have a chance to see if history repeats itself. Based on this year’s Russell’s Reserve private selections, there’s a solid chance they’ll do just that. The stage is set again for yet another Russell’s Reserve Single Barrel showdown. Will Barrels & Brews prove themselves the comeback kid or will Shawan’s triumph as Beast Masters Club did last week? There’s only one way to find out and I’ve had it with the suspense. Let’s pour! Overall: Barrels & Brews’ Haters Gonna Hate is an excellent Russell’s Reserve Single Barrel private selection that’s well-grounded in the classic Wild Turkey profile and loaded with creamy citrus and spice. I particularly appreciate the rich honey-oak and fragrant herbal/floral notes, as they maintain notable presence without coming across as “woody” or unbalanced. In some ways HGH reminds me of Wild Turkey 13-year, at least the herbal & floral spice is reminiscent. Overall, a fantastic barrel pick from the fine folks at Barrels & Brews and one that I’m grateful to have in my weekly rotation. Overall: Well, how about that? This Shawan’s Russell’s Reserve Single Barrel selection is in many ways similar to Barrels & Brews’ Haters Gonna Hate, showcasing an arguably classic Wild Turkey vibe: sweet citrus and fragrant herbal spice layered over creamy caramel/vanilla and sweet honey-maple. As for its unique qualities, those are found primarily in the finish; whereas HGH is more zesty citrus with sweet spice, Shawan’s rickhouse H pick is a bit drier with diminishing notes of cinnamon powder, sassafras, and clove. But I’ll stress these are subtle differences. All said and done Shawan’s H pick is every bit as enjoyable as HGH, it’s just not entirely the same profile-wise. Closing thoughts: This was an incredibly fun side-by-side tasting – so much so, I repeated it multiple times over the past two weeks (even trying once blind). I’ll have to say, these two bourbons are considerably close in profile, only a bit different in delivery. Haters Gonna Hate and Shawan’s 2018 H pick are quality Russell’s Reserve private selections, each whiskey approaching a similar classic Wild Turkey flavor from its own unique direction. They’re also a refreshing change-up from the various rickhouse B and D picks I’ve reviewed this year. While I tend to prefer the rich “bourbon in a bakery” profile rickhouse B and D often offer, I can appreciate a change in pace from time to time. Barrels & Brews and Shawan’s H selections not only accomplish that goal, they excel at it. It’s fascinating to learn about the differences in the bourbon depending on the warehouse. And that Unicorn art is cool! Construction, elevation and seasons have a lot to do with it. It’s quite fascinating to me as well, as each year brings new potential.